I was in Dublin yesterday to record a short story with the artist/composer Stano and was telling him and his friend Denise Dunphy the story of Ethel Lynch from Cork who became famous in the USSR for her novel The Gadfly. I wrote a feature about that book many years ago so now take this opportunity to republish it! By the way, although I wrote that the novel was out of print, it has since become available in hardback, softback and on Kindle! On Easter Sunday 1887 Wilfred Voynich, a Polish nationalist, looked out of his cell window in Warsaw’s Citadel prison and saw a young blond-haired woman, dressed in black, stare up at the grim walls of the jail from the great square. Wilfred and some comrades were in prison on charges of conspiring to free two political prisoners. However, they were betrayed by an informer. After eighteen months in the citadel Wilfred was banished to Irkutsk in Siberia, but not before being placed in a cell facing the gallows so he could watch his co-accused and the would-be escapers die. The young woman who had stood in the great square staring up at the fortress was 23-year-old Ethel Lilian Boole who was born in Cork in 1864. Her father, George Boole, from Lincoln, England, had helped establish Queen’s College, Cork, where he was elected Dean of Science. Her English mother, Mary Everest was the niece of Sir George Everest, after whom the mountain was named (the Tibetans still call it Chomolungma!). Mary Everest met her future husband on a visit to the Cork university. Boole was an eminent mathematician whose theories (Boolean Logic) later became the foundation for computing and information technology. Boole died aged just 49 and his widow and five children returned to England. Ethel holidayed in Ireland and it was during a visit in 1879 when she was fifteen that she became politicised and had a life-changing experience. It happened whilst she was reading about Giuseppe Mazzini, founder of ‘Young Italy’, a revolutionary organisation whose objectives were independence and unity. Mazzini had been a leader of the Risorgimento (‘Resurgence’) movement in the 1830s. Ethel now dressed in black and called herself ‘Lily’. She studied music in Berlin for three years and upon her return to England was introduced to the revolutionary Stepniak (Sergei Kravchinski) who had fled Russia after assassinating the chief of the Czarist secret police. At Stepniak’s she met Eleanor Marx (daughter of Karl Marx), Bernard Shaw and Oscar Wilde. Stepniak taught her Russian and she decided to see the condition of the peasantry for herself. 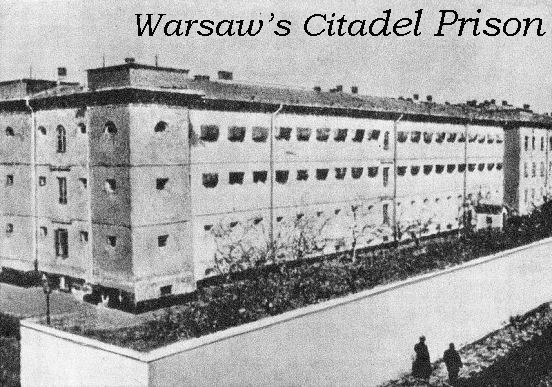 It was while she was on her way to St Petersburg that she stopped off in Warsaw and viewed the prison fortress which held Wilfred Voynich. In St Petersburg Ethel worked as a tutor and governess and stayed with Stepniak’s sister-in-law, Preskovia, whose husband was a political prisoner. She helped Preskovia bring medical care to peasants suffering from diseases, including TB. Preskovia eventually left for Siberia to where her husband had been banished after his release. And it was in Irkutsk that Preskovia met Wilfred Voynich and encouraged him to escape to England. She gave him two names – Stepniak and ‘Lily Boole’. On his third attempt Wilfred escaped and made his way through Mongolia and China. From China he sailed to Hamburg where he sold his coat and glasses to buy bread and a third class ticket for a boat to England. He arrived penniless but was eventually directed to Stepniak’s house. It was there he was introduced to Ethel Boole. “Haven’t I seen you before?” he asked. “Weren’t you standing in the square near the prison fortress on Easter Sunday 1887?” She said it was her. The two hit it off and eventually married in 1902. They began work with Stepniak, printing and sending to Russia revolutionary literature and the forbidden works of Marx and Engels. Ethel began writing short stories – as well as composing music. She translated classical and modern Russian writers and became a published author. She also clandestinely visited Ukraine to organise the smuggling of illegal publications. In 1897 Ethel’s novel, The Gadfly, was published in the USA. 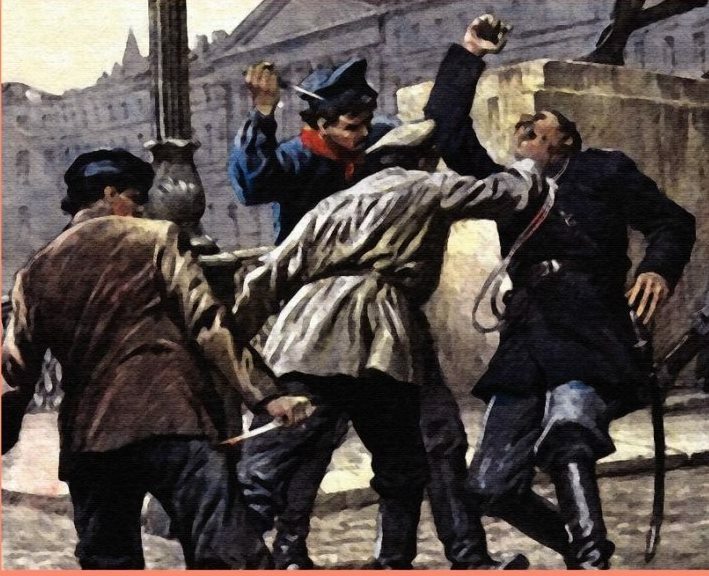 The setting for the novel is the conspiratorial background of Italy’s Risorgimento. A young English theological student, Arthur Burton, based in Italy falls in love with a girl and the cause of Italian independence. At confession he accidentally gives a priest information which leads to a round-up of activists. He also discovers that another influential cleric on his life is actually his biological father. Arthur’s girl accuses him of being an informer when he is released from interrogation. He fakes his drowning and runs away to South America – where he suffers brutal privations and disfigurement – but returns thirteen years later in disguise as Felice Rivarez (‘the gadfly’), anticlerical, a propagandist and a revolutionary. After many adventures he is eventually arrested and executed. Ethel’s husband Wilfred ran a rare books and manuscripts bookshop in London which was also a front for smuggling revolutionary literature into Russia and for laundering funds. In Italy in1912 he discovered an ancient manuscript in a Jesuit college which he bought and brought with him to New York (where he and Ethel were to settle). Known as the ‘Voynich Manuscript’ – never mind the Da Vinci code – it is written in a mysterious, unknown alphabet that to this day has defied all attempts at translation and is the subject of much speculation. In New York Ethel continued to write and also produced a number of cantatas, oratorios and orchestral works including ‘Epitaph in Ballad Form’ which she dedicated to Roger Casement, who was hanged in August 1916. There was a rumour that The Gadfly was actually based on the life of Russian exile, Sigmund Rosenblum, who eventually became known as Sidney Reilly, the British spy (‘Ace of Spies’). However, Ethel had begun work on her novel when Rosenblum was still in shorts. In fact, it was Reilly who cannibalised the character of Arthur Burton to plot a fictionalised version of his own life. Wilfred Voynich died in 1930 but Ethel lived on until 1960 and died at the age of 96. It was only in the 1950s, sixty years after the publication of The Gadfly, that Ethel discovered she was a celebrity in Russia. Though the book was almost ignored in Britain and the USA, in the Soviet Union it was regarded as a masterpiece and had sold in its millions. The inspiration for the book came to Ethel Voynich from her reading Mazzini in Ireland but was influenced by the oppression of the peasantry, the denial of freedom and the struggle for justice and equality. The Gadfly is a great story. It is a story of tragic romance and revolutionary heroes – which, as we know from experience, too often go together.